DentalArt3D - No.1 for dentist! Welcome to our site DentalArt3D. We specialize in visualization tools useful for all the dentists in their everyday work. Our proprietary software can be applied in all spheres of dentistry. It is very hard to prioritize these spheres, so we’ll just list them. 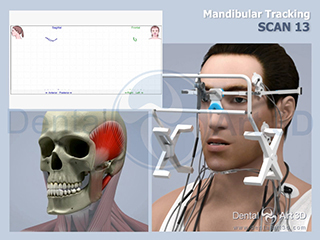 DentalArt3D General Dentistry is a program application with educational videos on general dentistry. It is designed to help dentists in their consulting work, so that they could easily, clearly, and quickly acquaint their patients with existing problems, as well as introduce potential solutions for them. This set includes descriptions of almost the entire range of dental disorders and treatment methods. DentalArt3D General Dentistry can help to increase the number of patients who agreed with proposed treatment plans. Three other products Neuromuscular Dentistry, Dental Occlusion, Craniomandibular Dysfunction are designed to help dentists in malocclusions treatment, as well as to introduce complex treatment plans to their patients. For instance, with this product you can make a presentation of complete dentures restoration process taking into account all the occlusal, muscular, and temporomandibular considerations. No dental treatment can be complete without taking into account all the occlusal system considerations. Occlusal issues are the most complicated area of clinical dentistry, it requires a lot of dentist’s time and prolonged period of education, let alone the cost of such education. Therefore, the main purpose of DentalArt3D occlusion sets is to make this area simpler, clearer, and more demonstrable, both for a dentist and a patient subject to occlusal therapy. Management can conduct trainings for middle level staff avoiding high financial and time costs and covering various topics: research protocols, plastering in articulator, etc. 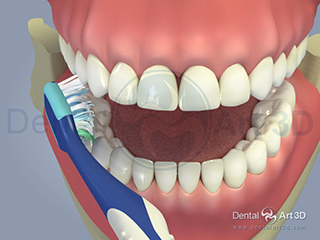 Dentists can improve their skills by applying advanced treatment techniques described in DentalArt3D. Dentists can at any time refresh their knowledge acquired during their training while dedicating to this process only 5 or 10 minutes. One disc can replace the whole bookshelf with a lot of information in 2D format. But the key advantage is potentially growing number of patients who will agree to the treatment plans proposed to them. It will be possible by visual demonstration of their disorders and treatment methods. Simple, clear, fast, and easy to get! That is the reason why we call our product a tool essential for every dentist. First, it is more than six hours of high quality 3D animations. Yes, during six years we could make three animated blockbusters, and release them for showing in cinemas. Secondly, it is 270+ videos 30 seconds – 20 minutes long covering almost all the areas of modern dentistry. 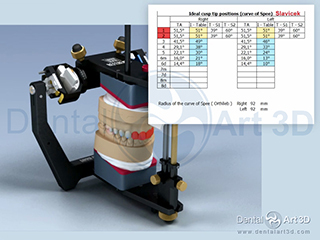 Fourthly, only our product allows to visualize easily some approaches existing in dentistry! Fifth, our product is best described by our slogan – dental concepts made simple. All Dentistry includes all four main sets. We also offer each set in versions for 1, 3, 5, or 10 users.